6.1 What personal data do you collect and why? 6.2 Who can see my password? 6.3 Who can see my credit card number? 6.5 How can I access or correct my information? 6.6 Who can access my campaigns and other content? 6.7 What are the guidelines Orr Group follows when accessing my data? 6.8 How is my data protected from another customer’s data? 7.1 Who owns Orr Group materials? 7.2 Who owns the IP of my campaigns and uploaded content? 7.3 Who owns the IP of the images and sounds that I include in my campaigns via the Art Library, Marketplace, and Jukebox tools? 8.1 Do you guarantee that Roll20 will be accessible at all times? Please don’t forget that we are real people: take a look at our about page to get to know us a little. We are not perfect, but we’re trying our hardest, because we genuinely care about your success. When you read Orr Group or "we" below, it refers to The Orr Group, LLC, its affiliates, and agents. Should you have other questions or concerns about this document, please send us an e-mail at team@roll20.net. By accessing or using Roll20 in any way, whether you have created your own Roll20 account or are invited to view someone’s private content on Roll20 (such as joining a game as a player), or are just browsing around, you agree to and are bound by the terms and conditions written in this document. If you do not agree to all of the terms and conditions contained in this document, do not access Roll20. If you read something that rubs you the wrong way, or if you think of something that should be added, please get in touch! We’re all ears! Email team@roll20.net and we’ll chat. Your access and use of Roll20 is always subject to the most current version of this document. If you breach any of the terms and conditions in this document, your authorization to access or use Roll20 automatically terminates. Any materials downloaded or printed from Roll20 in violation of the Terms of Service must be immediately destroyed. We may block, restrict, disable, suspend or terminate your access to all or part of Roll20 at any time in our sole discretion, without prior notice or liability to you. Support for Roll20 is provided via our Community Forums. We also provide a Help and Documentation Site with guides and screencasts that provide instruction on performing common tasks. Please be aware that your browser must be enabled to accept cookies from roll20.net in order for you to use Roll20. It is your sole responsibility to keep your email, password and other sensitive information confidential. If you become aware of any unauthorized use of your account or any other breach of security, you shall notify Orr Group immediately. No-one at Orr Group. We use the very trustworthy and secure Stripe payment service. Read about their security measures on the Stripe Terms of Service (in short, they encrypt your credit card info using industry-standard practices). You can access all your personally identifiable information that we collect online and maintain by logging in to Roll20 and visiting the My Account page. Who can access my campaigns and other content? By default, all campaigns and other assets that you create or upload to Roll20 are private. However, if you invite players to join your game, or choose to share your campaigns with other Roll20 users, then they will have access to view those specific campaigns and any assets used in those campaigns. Any assets that you upload to the Roll20 Marketplace will also be made public under the license that you select when the asset is submitted. What are the guidelines Orr Group follows when accessing my data? We restrict who at Orr Group can access customer data to only senior members of the team, and never to outside contractors. We only do it in response to a customer support question, or to look at issues affecting the entire Roll20 application. We might give access to US authorities if requested in writing. We’ll try not to, but we don’t have the resources to fight the government. We’ll also keep the account owner informed as much as we can if this happens. Who owns Orr Group materials? Orr Group materials are all the information, data, documents (e.g. white papers, press releases, datasheets, FAQs, etc. ), communications, downloads, files, text, images, photographs, graphics, videos, webcasts, publications, content, tools, resources, software, code, programs and products on Roll20 produced by Orr Group. Orr Group materials are protected by copyrights, trademarks, patents, trade secrets and all other intellectual property and proprietary rights, and any unauthorized use of the Orr Group Materials may violate such laws and the Terms of Service. You agree not to copy, republish, frame, download, transmit, modify, adapt, create derivative works based on, rent, lease, loan, sell, assign, distribute, display, perform, license, sublicense or reverse engineer the Roll20 service or Orr Group Materials or any portions of them. The trademarks, logos and service marks displayed on this Site are the property of The Orr Group, LLC or other third parties. You are not permitted to use them without the prior written consent of The Orr Group, LLC or such third party that may own the Marks. Roll20 and the Roll20 logo are trademarks of The Orr Group, LLC. Orr Group materials may not be modified or altered in any way. Orr Group materials on Roll20 may not be distributed or sold, rented, leased, licensed or otherwise made available to others. You may not remove any copyright or other proprietary notices contained in the Orr Group materials. You may not copy or distribute any graphics in the Orr Group materials apart from their accompanying text. You will not quote or display Orr Group materials, or any portions thereof, out of context. Orr Group reserves the right to revoke the authorization to view, download and print the Orr Group materials available via Roll20 at any time, and any such use shall be discontinued immediately upon notice from Orr Group. Any Orr Group materials made available only upon payment of a fee may only be viewed, downloaded and printed subject to your payment of such fee. Who owns the IP of my campaigns and uploaded content? Orr Group does not claim intellectual property rights over campaigns or uploaded content on Roll20. 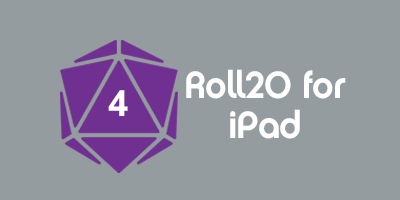 We leave it to each Roll20 user to decide who should own the IP of the materials created using their Roll20 account. Content that you upload to the Roll20 Marketplace remains the IP of the original creator, and becomes subject to the additional terms found in the Marketplace End User Licese Agreement (EULA). You acknowledge and agree that Roll20 has no liability of any kind should anyone you granted access to your content modify, destroy, corrupt, copy or distribute it, or violate the Terms of Service or other limitations that you may impose on the use of your shared content. Orr Group does not pre-screen user materials that users provide or otherwise submit via Roll20; however, Orr Group may remove any posted or submitted user materials from Roll20 for any reason without notice in its sole discretion. By posting or submitting your user materials, you represent and warrant that you own or otherwise control all of the intellectual property rights and other rights to your user materials as described in these Terms of Service, including all the rights necessary for you to post or submit your user materials. In addition, by posting or otherwise submitting your user materials that contain images, photographs, pictures, videos, webcasts or that are otherwise graphical in whole or in part (“Images”), you represent and warrant that: (a) you own the copyright in such Images, or that you have obtained all necessary license(s) from the copyright owner(s) of such Images to use such Images, or portions thereof, in keeping with your use in connection with Roll20 and as otherwise permitted by these Terms of Service; (b) you have the rights necessary to grant the licenses and sublicenses described in these Terms of Service; and (c) you have received consent from any and all persons depicted in such Images to use the Images as set forth in these Terms of Service, including the distribution, public display, public performance and reproduction of such Images. You are solely and entirely responsible for all of your user materials that you post or otherwise submit via Roll20. You shall assume all risks associated with the use of your user materials including any reliance on the accuracy, completeness or usefulness of your user materials. Orr Group does not guarantee the accuracy, integrity or quality of your user materials. You acknowledge and agree that by accessing or using Roll20, you may be exposed to user materials from others that are offensive, indecent or otherwise objectionable. Who owns the IP of the images and sounds that I include in my campaigns via the Art Library, Marketplace, and Jukebox tools? The tokens, map tiles, sounds, and other art assets that you include in your campaigns via the Art Library, Marketplace, and Jukebox tools are the intellectual property of the providers of the assets. For more information on the assets included in Roll20, and their providers, see the Acknowledgements page and/or the individual asset page on the Marketplace. We have licensed these assets to allow you to use them to create non-commercial works in a personal setting. If you wish to re-distribute any campaigns you create on Roll20 that include assets from any of these providers outside of this intended purpose or outside of the Roll20 service, you must contact the provider(s) to license them directly. Orr Group is not responsible for your use of the assets in any way that violates the rights of the providers. In addition, assets included from the Roll20 Marketplace are subject to the additional terms in the Marketplace End User Licese Agreement (EULA). Art that you include in your campaign via the web search and Jukebox features come from a variety of websites across the Internet. We do our best to only include assets that can be used by you for non-commercial works in a personal setting, but the licensing of each asset may vary. We provide a credit, including a clickable link, above each art asset so that you can see where it is from and under what license it is released. You are solely responsible for any infringement of the rights of others that may occur by using these assets in your materials on Roll20. Do you guarantee that Roll20 will be accessible at all times? We monitor Roll20 closely and have set up automated alarms to be notified (via email and SMS) when the Roll20 service is under stress, so that we can deal with the issue before it becomes a problem that might impact customer access. You can see for yourself how we’re doing on this front over the last 30 days by looking at our Status Page. You acknowledge and agree that Orr Group shall not be liable for any failure to store or retrieve your materials on Roll20 at any time. Use or attempt to gain access to or use another’s user or company account, password, data, or computer systems or networks connected to any Roll20 server, whether through hacking, password mining or any other means. Create, facilitate, or participate in any games intended primarily to disseminate copyrighted material. Disrupt or interfere with the security of, or otherwise cause harm to, the Roll20 service, Orr Group materials, systems resources, accounts, passwords, servers or networks connected to or accessible through Roll20 or any affiliated or linked sites. Transmit unsolicited or bulk communications to any Roll20 account holder or to any roll20.net or affiliated e-mail address. Disrupt, interfere or inhibit any other user from using and enjoying the Roll20 service or other affiliated or linked sites, materials or services. Access or use Roll20 in any manner that could damage, disable, overburden or impair any Roll20 server or the network(s) connected to any Roll20 server. Violate any applicable laws or regulations related to the access to or use of Roll20, or engage in any activity prohibited by the Terms of Service. Prepare, compile, use, download or otherwise copy any Roll20 user directory or other user or usage information or any portion thereof, or transmit, provide or otherwise distribute (whether or not for a fee) such directory or information to any third party. Violate the rights of Orr Group or any third party (including rights of privacy and publicity) or abuse, defame, harass, stalk or threaten another. Market any goods or services for any business purpose (including advertising and making offers to buy or sell goods or services), unless specifically allowed to do so by Orr Group. Materials and Services provided by third parties are governed by separate agreements accompanying such materials and services. Orr Group offers no guarantees and assumes no responsibility or liability of any type with respect to the third-party services, including any liability resulting from incompatibility between a third-party service, Orr Group materials, the Roll20 service or another third-party service. You agree that you will not hold Orr Group responsible or liable with respect to the third-party services. In the event of your or others’ access to or use of the Roll20 service in connection with the transmission of spam unsolicited e-mail or postings in violation of these Terms of Service, you acknowledge and agree that Orr Group would be irreparably harmed thereunder and that monetary damages would be an insufficient and ineffective remedy; therefore you agree that Orr Group is entitled to obtain immediate injunctive relief against any such transmission (in addition to all other remedies available at law or in equity). Orr Group may without restriction block, filter or delete unsolicited e-mail. Orr Group may block, restrict, disable, suspend or terminate your access to all or part of Roll20 at any time in Orr Group’s sole discretion, without prior notice or liability to you. Orr Group will, in appropriate circumstances, terminate the accounts of users who infringe the intellectual property rights of others. Orr Group will investigate notices of copyright infringement and take appropriate actions under the Digital Millennium Copyright Act, Title 17, United States Code, Section 512(c)(2) (“DMCA”). Roll20 may include links that will take you to other sites outside of the Roll20 service. The linked sites are provided by Orr Group to you as a convenience and the inclusion of the links do not imply any endorsement by Orr Group of any linked site. Orr Group has no control of the linked sites and you therefore acknowledge and agree that Orr Group is not responsible for the contents of any linked site, any link contained in a linked site or any changes or updates to a linked site. You further acknowledge and agree that Orr Group is not responsible for any form of transmission (e.g. webcasting) received from any linked site. Orr Group may run advertisements and promotions from third parties via Roll20 in any manner or mode and to any extent. Your communications, activities, relationships and business dealings with any third parties advertising or promoting via Roll20, including payment and delivery of related goods or services, and any other terms, conditions, warranties or representations associated with such dealings, shall be solely matters between you and such third parties. You acknowledge and agree that Orr Group is not responsible or liable for any loss or damage of any kind incurred as the result of any such dealings or as the result of the presence of such non-Orr Group advertisers on Roll20. any errors or defects in Roll20 service and Orr Group materials will be corrected. This Roll20 service and Orr Group materials may include technical or other mistakes, inaccuracies, or typographical errors. Orr Group may make changes to the site, materials and services, including the prices and descriptions of any software or products listed, at any time in its sole discretion and without notice. The Roll20 service and Orr Group materials may be out of date, and Orr Group makes no commitment to update the site, materials and services. Orr Group shall not be liable or responsible for any materials or services offered by third parties. Orr Group does not control or endorse the materials found in any services and specifically disclaims any liability with regard to the site, services and any actions resulting from your use of the Roll20 service and Orr Group materials and participation in any services. Managers, hosts, and other third parties are not authorized Orr Group spokespersons, and their views do not necessarily reflect those of Orr Group. To the maximum extent permitted by law, Orr Group will have no liability related to user materials arising under intellectual property rights, libel, privacy, publicity, obscenity or other laws. Orr Group also disclaims all liability with respect to the misuse, loss, modification or unavailability of any user materials. The use of Roll20 service, Orr Group materials or the downloading or other use of any materials is done at your own discretion and risk and with your agreement that you will be solely responsible for any damage to your computer system, loss of data or other harm that results from such activities. Orr Group assumes no liability for any computer virus or other similar software code that is downloaded to your computer from the site or in connection with any services or materials. No advice or information, whether oral or written, obtained by you from Orr Group or via the site, services or materials shall create any warranty not expressly stated in the Terms of Service. Orr Group will not be liable for any loss that you may incur as a result of someone else using your password or account with respect to the site or any services or materials, either with or without your knowledge. any dealings between you and any third parties advertising or promoting via Roll20. The Roll20 service can be accessed from countries around the world and may contain references to Orr Group products, services and programs that are not available in your country. These references do not imply that Orr Group intends to announce such products, services or programs in your country. The Site is controlled, operated and administered by The Orr Group, LLC and its affiliates from their offices within the United States of America. Orr Group makes no representation that the Roll20 service and Orr Group materials are appropriate or available for use at other locations outside the United States, and access to the Site from territories where the Site, the Services or Materials are illegal is prohibited. If you access the Site from a location outside the United States, you are responsible for compliance with all local laws, and you consent to the transfer of your data for processing in the United States. The export and re-export of Orr Group Software are controlled by the United States Export Administration Regulations, and such Software may not be exported or re-exported to Cuba, Iran, Libya, North Korea, Sudan, Syria, or any country to which the United States embargoes goods. In addition, the Software may not be distributed to persons on the Table of Denial Orders, the Entity List, or the List of Specially Designated Nationals. All Orr Group Software, products and publications are commercial in nature. The Software and documentation available on this Site are “Commercial Items,” as that term is defined at 48 C.F.R. §2.101, consisting of “Commercial Computer Software” and “Commercial Computer Software Documentation,” as such terms are used in 48 C.F.R. §12.212 or 48 C.F.R. §227.7202, as applicable. Consistent with 48 C.F.R. §12.212 or 48 C.F.R. §§227.7202-1 through 227.7202-4, as applicable, the Commercial Computer Software and Commercial Computer Software Documentation are licensed to U.S. Government end users (A) only as Commercial Items and (B) with only those rights as are granted to all other users pursuant to the Terms of Service and the applicable license agreement. In order to provide our services to you, we will retain your information for the duration of your membership in the Roll20 service, and unless you request that we delete your information sooner, for one (1) year thereafter. The Roll20 service (excluding linked sites) is controlled by The Orr Group, LLC from its offices within the state of Kansas, United States of America. By accessing Roll20, you agree that all matters relating to your access to, or use of, Roll20 shall be governed by the statutes and laws of the State of Kansas, without regard to the conflicts of laws principles thereof. The parties specifically disclaim the U.N. Convention on Contracts for the International Sale of Goods. You also agree and hereby submit to the exclusive personal jurisdiction and venue of the Superior Court of Sedgwick County and the United States District Court for the 18th Judicial District of Kansas with respect to such matters. The Terms of Service and other rules, guidelines, licenses and disclaimers posted via Roll20 or in connection with the Materials and Services constitute the entire agreement between Orr Group and you with respect to your access to or use of the Roll20 service and materials superseding any prior agreements between you and Orr Group on such subject matter (including any prior versions of the Terms of Service). Notwithstanding the foregoing, to the extent that any terms set forth in the Terms of Service expressly contradict any terms of a written agreement between you and Orr Group regarding the use of specific Services or Materials (including Service-specific Terms of Service and Software-specific licenses) (“Executed Agreement”), such contradictory terms set forth in the Executed Agreement shall govern. You may also be subject to additional terms and conditions that may apply when you use other Orr Group services, third party content or third party software. You may not assign or otherwise transfer the Terms of Service nor any right granted hereunder without Orr Group’s prior written consent. If for any reason a court of competent jurisdiction finds any provision of the Terms of Service, or portion thereof, to be unenforceable, that provision shall be enforced to the maximum extent permissible so as to effect the intent of the parties as reflected by that provision, and the remainder of the Terms of Service shall continue in full force and effect. Any failure by Orr Group to enforce or exercise any provision of the Terms of Service or related right shall not constitute a waiver of that right or provision. The section titles used in the Terms of Service are purely for convenience and carry with them no legal or contractual effect. 2018, September 11th: GDPR Compliance and Clarificaton. 2015, July 17th: Clarified Judicial District in Governing Law provision. 2013, April 15th: Moved document to new Wiki. Content unchanged. 2012, April 7th: Published this document for the first time. 2012, April 21st: Moved document to help site. Content unchanged. 2012, September 13th: Updated document to reflect new company name, "The Orr Group, LLC". It's still the same people, just a little more official now. This page was last modified on 11 September 2018, at 16:48. This page has been accessed 167,142 times.